Facebook and other frustrations. How many times do you see comments friends of yours have made on threads that were initiated by someone who isn’t a friend of yours . . . and you wanted to comment as well, but couldn’t? It happens to me quite frequently, but I usually just let it go and content myself with gratitude for not being as interested in instant gratification as, say, my seven year old. However, this morning I became aware of what looks like a fascinating six-part series that was apparently broadcast on BBC4 just recently, the synopses of which are available on the BBC’s website, but which also are listed as unavailable in my area. 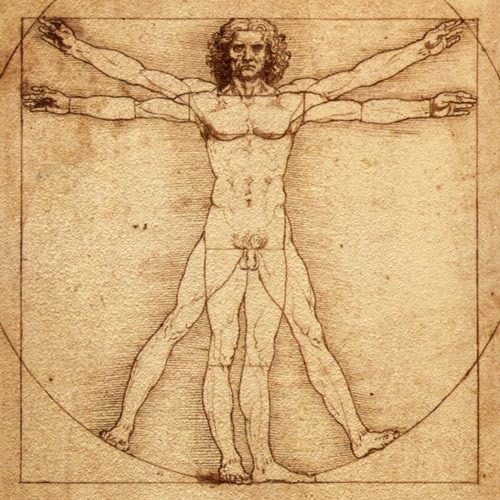 The series includes episodes on Da Vinci’s Vitruvian Man, Copernicus and the heliocentric universe, Newton’s prism, Florence Nightingale’s depiction of the real cause of battle deaths, The discovery and depiction of DNA, and the story behind the plaque carried on the space vehicle Pioneer. As a long-time fan of Edward Tufte’s and the general notion of “The Visual Display of Quantitative Information” I was hoping to watch the series. Alas, not only can’t I comment directly on my friend’s comments; I can’t even watch any of the series. So . . . Jack Vinson – thanks for your inadvertently making aware of the series; curses on you Facebook for not allowing me to make a side comment because the originator isn’t a friend of mine; Damn you BBC for allowing me to read your promos about the series, download the damn iPlayer, but not allowing me to view the episodes. If anybody out there in cyberland knows how I can remedy this situation without waiting a year before the BBC deigns to replay the series, I would be most appreciative. Thanks. This entry was posted on Monday, December 27th, 2010 at 11:19 am	and tagged with behind, diagram, exploring, leonardo, perfect and posted in Business. You can follow any responses to this entry through the RSS 2.0 feed. There seem to be a number of sources for this via bittorrent and other sites. Just Google “BBC Beauty of Diagrams”. All I see are in .rar format. Hi Mark. Thanks. I’ve downloaded the bittorrent client and the first show in the series. The video is beautiful but, unless I can read lips and intentions, I’m screwed. No audio! I suppose I should download another version and see what I get, but it’s just not high on my list right now.